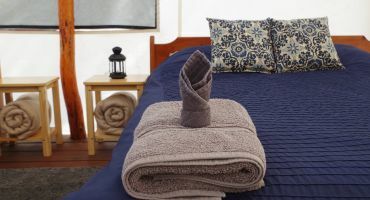 REO’s Nahatlatch River Resort is a labour of love that has evolved for over 30 years and strives to meet the constantly changing needs of our guests. The Nahatlatch valley is a true slice of British Columbia’s wilderness, combining a rushing jade-green river, a tall majestic forest and a glacier capped mountain. We want to share our natural home with you and to provide amenities to make your stay as comfortable as possible. Constructed from hand-peeled logs and canvas our unique Glamping tents are perched on the edge of the Nahatlatch River. 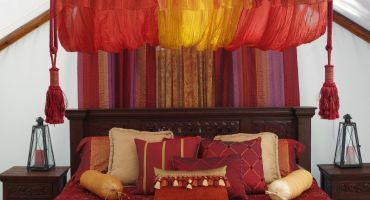 Each one is styled by local decorators who bring their own flair and charm to our cozy lodging. 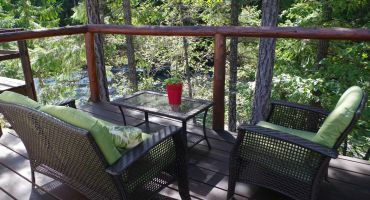 Enjoy the stunning view of the river from your private deck while relaxing in comfy outdoor furniture and sharing a refreshing beverage with a friend. 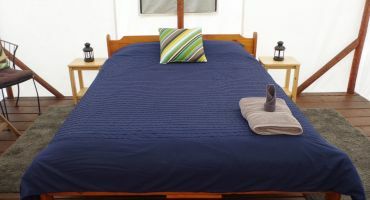 Your glamping tent features a private deck perched above the rushing rapids of the Nahatlatch. Enjoy delicious meals, fun activities & relaxation. 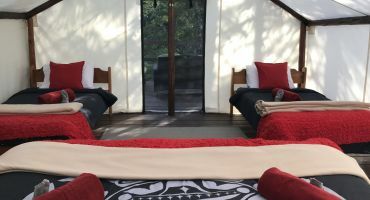 Experience the sights and sounds of nature in a cozy Glamping tent on the edge of the river. Enjoy nightly campfires, yoga & adventure activities. Each tent is styled by local decorators who bring their own flair and charm to our cozy lodging located on the edge of the Nahatlatch River. Constructed from hand-peeled logs and canvas our unique Glamping tents are perched on the edge of the Nahatlatch River.